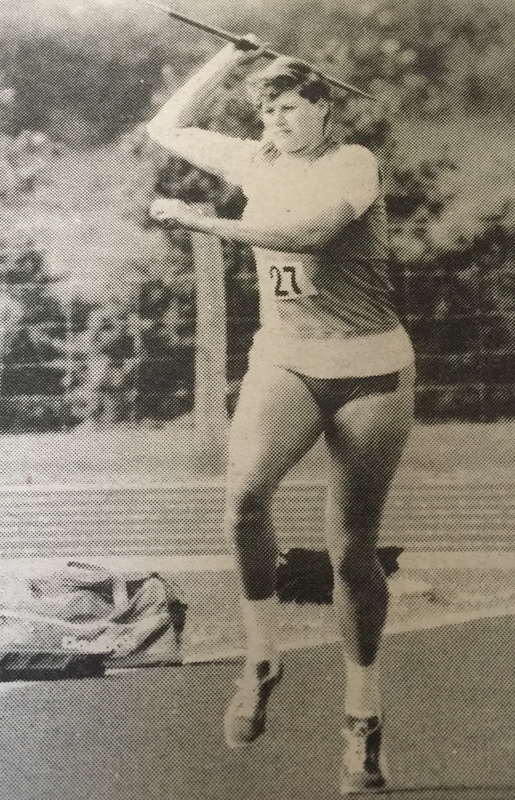 A talented all rounder Fay probably favoured the throwing events but also had success in the constituent events of the Heptathlon. This excerpt from the 1989 Newsletter probably sums Fay up best: “The Womens Midland League team finished third in their division against some very classy opposition. A lot of the credit must go to Fay Champion, who, as Team Captain, played a major role in motivating younger athletes and led by example, regularly competing in six or seven events”. High Jump F34 1.65m 01/01/1988 ? Hurdles(100M) F34 16.3s 01/01/1989 ? Long Jump F34 5.14m 01/01/1988 ? Shot (4kg) F34 10.49m 01/01/1989 ? Shot (4kg) F34 11.08m 01/01/1992 ?